DALLAS-Monday night March 25, 2013 was a big night for senior members of the 391st Composite Squadron, Group III, Texas Wing Civil Air Patrol as the awards and promotion night cited six senior members. Promoted to the rank of captain were 1st Lt Robert R. Bruton, 1st Lt Jared Desinger and 1st Lt Harold Garcia. Promoted to 1st Lt were 2nd Lt Servet Atbas, 2nd Lt Lana Holub and 2nd Lt Brian Relin. Chuck Yeager Aerospace Education awards were presented to 1st Lt Servet Atbas, 1st Lt Brian Reling, 2nd Lt John Dorie an 2nd Lt Robert Taggert. The award is named in honor of General Charles "Chuck" Yeager, the first man to fly faster than the speed of sound thus breaking the "sound barrier". 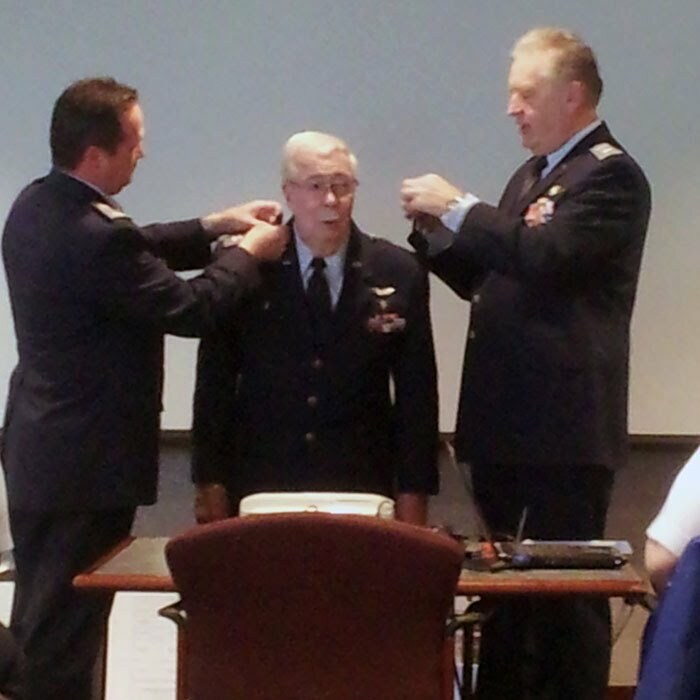 Capt Robert R. Bruton and Capt Jared Desinger were awarded "encampment ribbons" signifying their attendance at the Civil Air Patrol fall encampment held in December 2012 at Fort Wolters, Mineral Wells Texas. 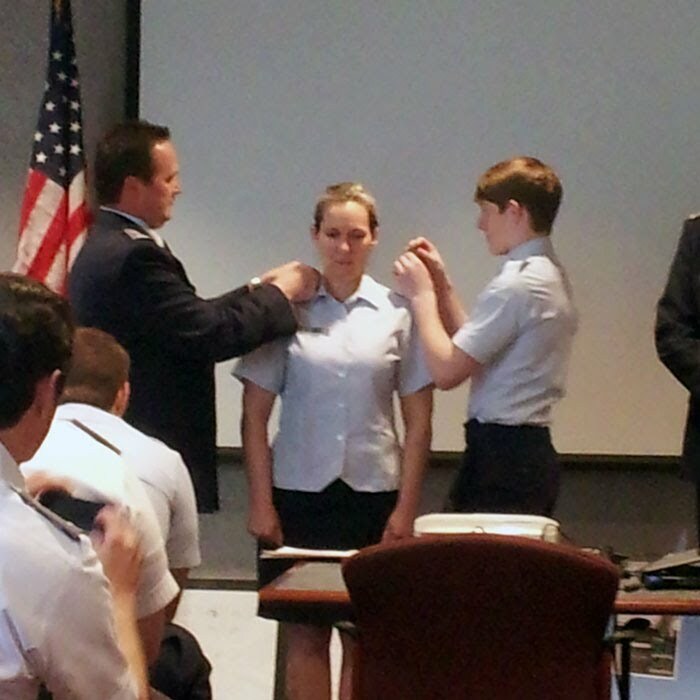 Four cadets were also cited for progress in their respective studies as part of their Aerospace education.